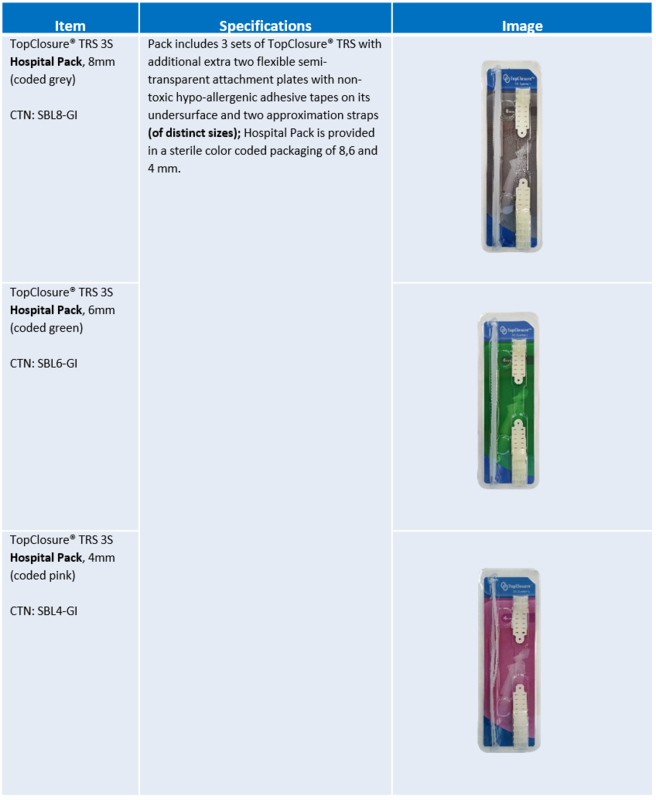 The TopClosure® Tension Relief System (TRS), an innovative new technology created for skin stretching and secure wound closure, is a simple yet creative and effective manner of treating diverse and complex skin wounds such as post traumatic, surgical, acute and chronic skin wounds, which do not respond to conventional wound care. The management of most complex wounds requires surgery as a final solution. The TopClosure® TRS offers a new approach for treating such wounds through both invasive and non-invasive applications. 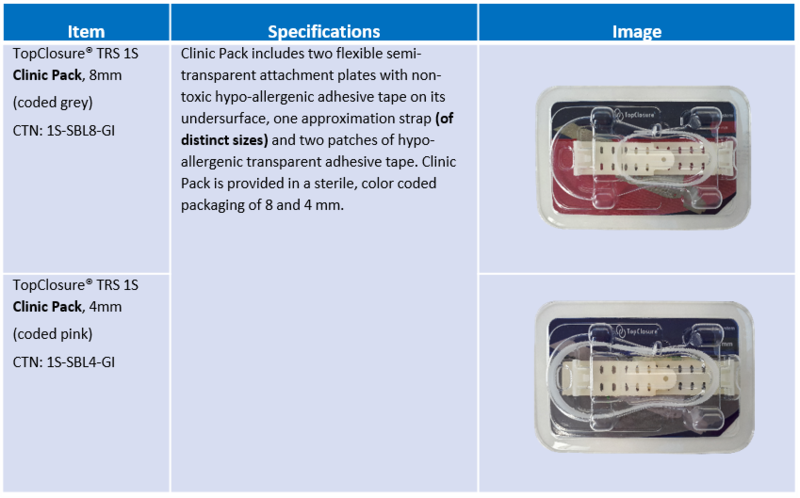 The TopClosure® TRS can be applied non-invasively by adherence to the skin, using a bio-compatible hypoallergenic tape, prior to or following surgery. Prior to any surgical procedure during which direct skin closure is anticipated to take place under excessive tension, the system is used to temporarily stretch skin tissues, thereby, avoiding the need for tissue expanders, providing a non-invasive means of external tissue expansion and avoiding excessive surgery with associated complications. The TopClosure® TRS is applied to secure wound closure following surgery, where the skin was closed under tension, by distributing the stress more evenly around the closed wound and away from the wound's edges. Tension on the scar can be reduced or totally eliminated, thus avoidingdehiscence ‎improving the quality and the aesthetics of the scar. In tension sutures applying point tension on the skin, leading to local ischemia, tearing of tissue and scaring. The TopClosure® TRS is using the bio-mechanical properties of the natural skin. The TopClosure® TRS is a Novel technology aimed at harnessing the visco-elastic properties of the skin for optimizing wound closure. By Stress-Relaxation - repeated load cycles of high tension and relaxation the wound edges become closer together, a few small increments every time. When tension is too high to allow immediate primary closure of wound edges, skin is dressed and complete closure is deferred to a later stage. Mechanical creep is utilized gradually in a few days process. In this way the TopClosure® TRS prevents ischemia and tearing of tissues caused in the process of wound closure by tension sutures. Additionally, the TopClosure® TRS can be applied simultaneously with regulated negative pressure treatment, to promote the healing process for chronic and acute wounds. TopClosure® TRS is changing the standard of wound care and has a global impact. The use of this unique new system is easy, safe and leads to excellent results. Surgeons will find this application to be extremely helpful when managing both, simple and complex wounds. 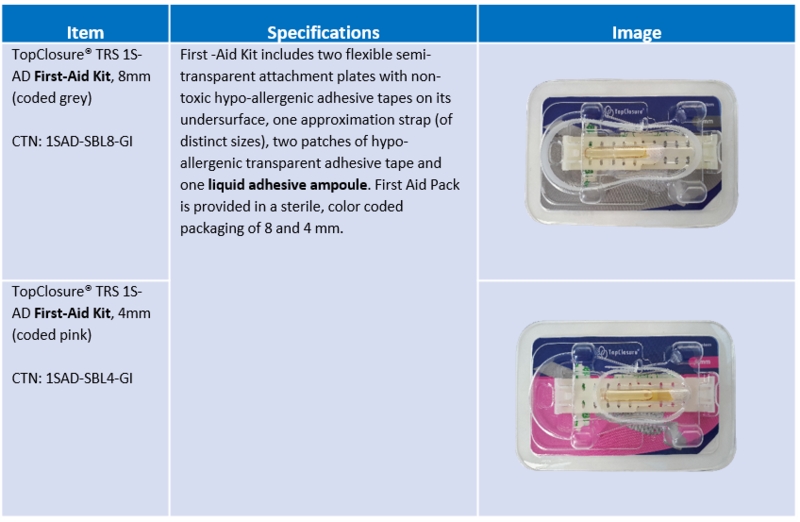 The application of both acute intraoperative stress-relaxation and pre- and post-operative mechanical creep for high and low tension wound closure respectively. It serves as a topical tension-relief platform for tension sutures. Extensive undermining of the skin edges and adjacent tissue can be avoided. Avoidance of undermining eliminates dead space, hematoma formation, the need for drainage and reduce the risk of infection. Skin can be further approximated as abedside procedure by mechanical creep. Most procedures can be performed under local anesthesia. Donor site morbidity can be eliminated. Surgical technique is simplified and hospital stay can be reduced. 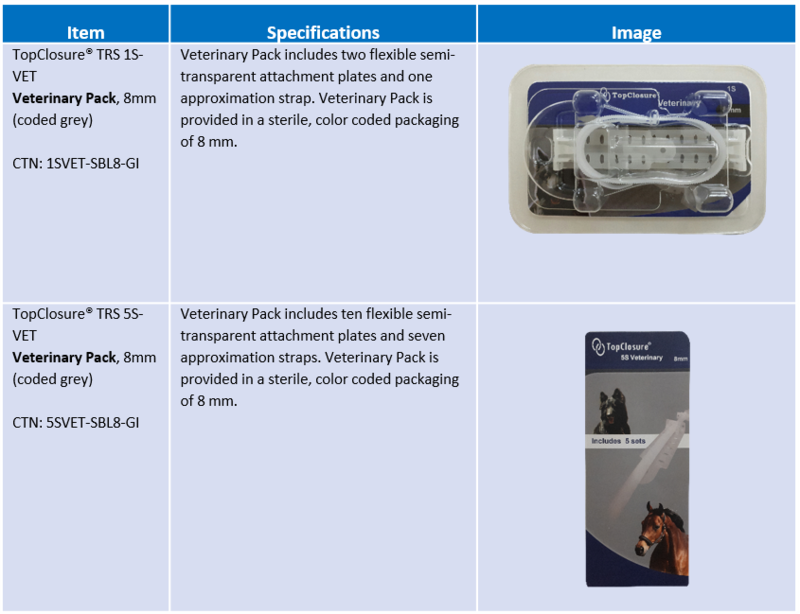 Reduced surgical complexity.Accelerated wound closure with improved functionality.